Join us on this epic journey! 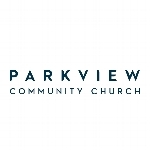 Parkview Community Church is running with Team World Vision to help provide life-changing clean water to children and communities in Africa. This has been a passion of this church for many years - and this will be our second time running the Chicago Marathon with Team World Vision! Most of us do not start off considering ourselves “runners”, but we're bold enough to believe we can end the clean water crisis in our lifetime - all we need to do is TRUST GOD and MOVE OUR FEET. Team World Vision provides everything you need to cross the finish line: training plans, weekly email encouragement, fundraising guides and incentives, and an incredible race weekend experience. We also have a team of Captains from Parkview devoted to ensuring everyone makes it to race day. NO ONE does this alone. The best part? It's not ultimately about race day for us. It's about the journey - and you'll see what a beautiful journey it really is. In Africa, there is a saying: "If you want to go fast, go alone. If you want to go far, go together." Join us and let's go farther together! World Vision provides more clean water than any nongovernment organization in the world. They work with communities around the world to help solve the puzzle of poverty—providing things like clean water, nutritious food, education, medical care, economic opportunity, and spiritual development. World Vision Inc. is a registered 501(c)3 nonprofit organization.